You will get access to new issues on a weekly basis. 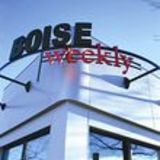 This one-time purchase will allow you to read 52 issues from Boise Weekly on issuu.com. The issue - Boise Weeky Vol. 27 Issue 44 will become available right away. You will get access to the remaining 51 issues as soon as they are made available by the publisher.